Your thyroid is a butterfly-shaped gland in the neck. The thyroid is tiny, yet so powerful. It’s responsible for regulating metabolism, and stores and produces almost all of the hormones our bodies produce! If your thyroid is underactive, you might feel sluggish, tired, and gain weight without eating more or changing your routine. Losing weight with an underactive thyroid (hypothyroidism) can be incredibly frustrating, especially if you don’t know how to bring yourself back into balance. Either an underactive or overactive thyroid can spell major issues for hormonal balance, since the thyroid produces two important hormones: triiodothyronine (T3) and thyroxine (T4), which are secreted into the blood and needed for the proper functioning of all the cells in your body. An underactive thyroid (the most common) is called hypothyroidism, and can lead to many symptoms. Some of these symptoms include low body temperature (such as cold hands and feet and cold sweats), low energy, mood swings, depression, weight gain (and inability to lose weight), insomnia, brain fog, menstrual problems, dry skin, and hair loss. It can also contribute to high blood pressure and high cholesterol. Hypothyroidism is often caused by Hashimoto’s thyroiditis, an autoimmune disorder where the immune system attacks the thyroid gland. Research shows that a shocking 40% of Americans suffer from hypothyroidism, but a low percentage are actually diagnosed. Some kind of medication is usually prescribed, which may or may not completely resolve the problem. One thing is for sure, a healthy diet rich in whole foods is a helpful piece of the puzzle. The following are the top five ways you can keep your thyroid healthy or help heal an imbalanced one, lose weight, and feel amazing. Getting plenty of pure sources of both plant and animal protein and fat will help to nourish your thyroid and balance your hormones, leading to weight loss. Natural proteins and fats help to support healthy immunity, and eating low-glycemic food is really important as well. This means avoiding processed foods including white sugar, bread, pasta, cereal, etc, and following a Clean Eating lifestyle. You can crowd out the bad stuff by eating a diet rich in whole-foods. A low-glycemic diet can reduce the cardiovascular risks associated with thyroid disorders, and it can also help a lot if you’re struggling with low-energy, depression or feeling blue. Getting plenty of fiber in your diet helps prevent constipation, which is another common problem with hypothyroid. 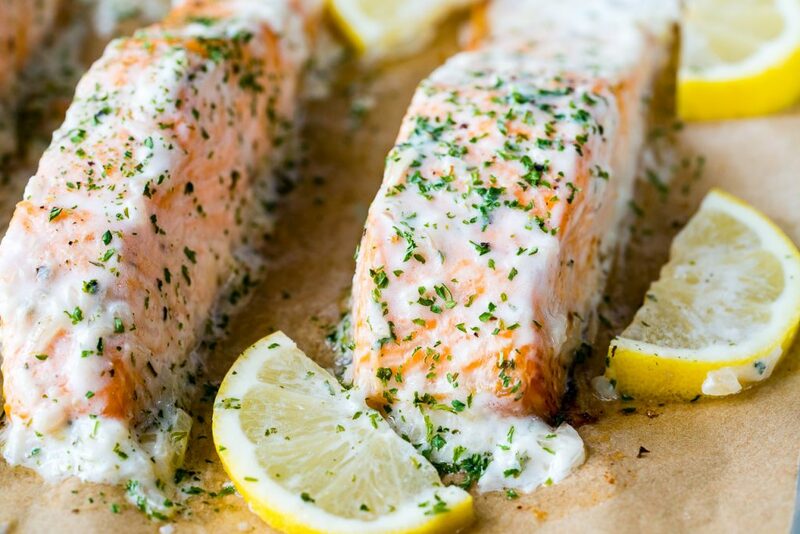 Clean Eating is super important when you’re overcoming a block with your thyroid – so do your best to meal prep and make it easier to succeed. In addition to the diet just described, you may need some supplemental help to balance your thyroid and lose weight. The vitamins or herbs you should supplement with are dependent in part on what the root cause of your hypothyroid is, whether autoimmune or a deficiency, so it’s important to work with a doctor to get tested to find this out. Some of the most important nutrients for the thyroid are iodine, and then B vitamins, vitamins C, D, and E, selenium, folic acid, zinc, magnesium and omega 3’s. Some of the most effective herbs for healing the thyroid are ashwaganda, eleuthero, echinacea, bladderwrack, bugleweed, licorice, lemon balm, bacopa and tulsi. Some research suggests eating 1-2 organic brazil nuts per day for a natural source of selenium, especially before eating fish that are prone to heavy metal pollution like tuna or halibut. Try and avoid as many toxic substances to begin with, such as the chemicals found in plastics (like BPA), house cleaners and even makeup and hair products. Go as natural as you can. 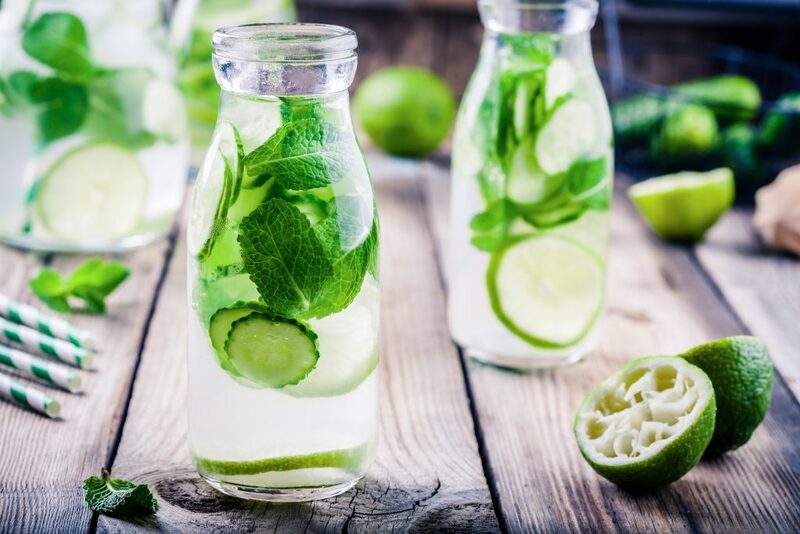 And of course drink plenty of water daily, especially lemon or Apple Cider Vinegar water in the morning and throughout the day. Issues with cortisol and adrenal exhaustion are also often found in people struggling with thyroid problems. The goal is to get your seriously burned-out system back into balance with plenty of tender loving care. Doing things like yin yoga, long walks in nature or gentle swimming exercises are generally preferable over more aggressive or aerobic-type exercises. You want to oxygenate the body and calm the mind and nervous system, and not over strain yourself. This is more likely to lead to healing and also weight loss than super strenuous exercise. Strength training can also be great, but again, don’t over do it or over strain yourself. Consistency is better than intensity. Now that you have the information you need to get started, consider who in your life can get on your team and support you in your transformation. Our 30 Day Clean Eating Challenge community is full of inspiration and support if you’re ready to make this commitment to yourself. It always helps to hear from someone who’s been where you are now and come out the other side. 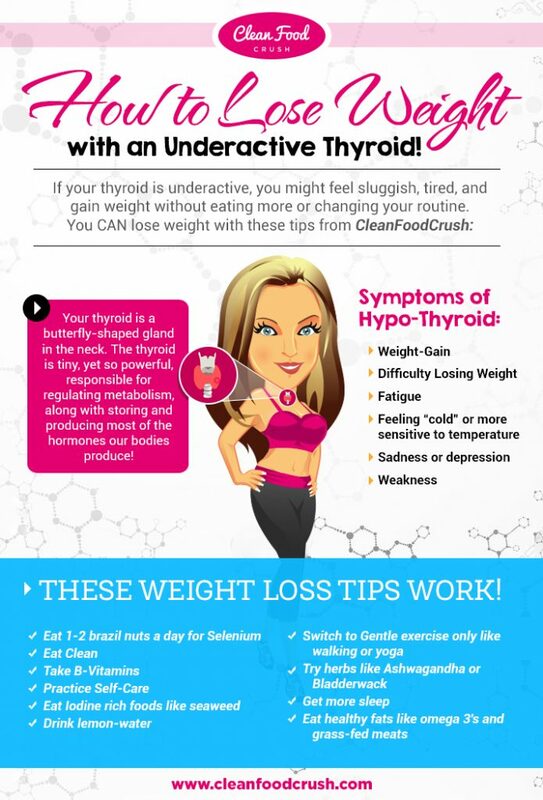 Here’s a story from Colleen, who had thyroid problems and still lost weight! 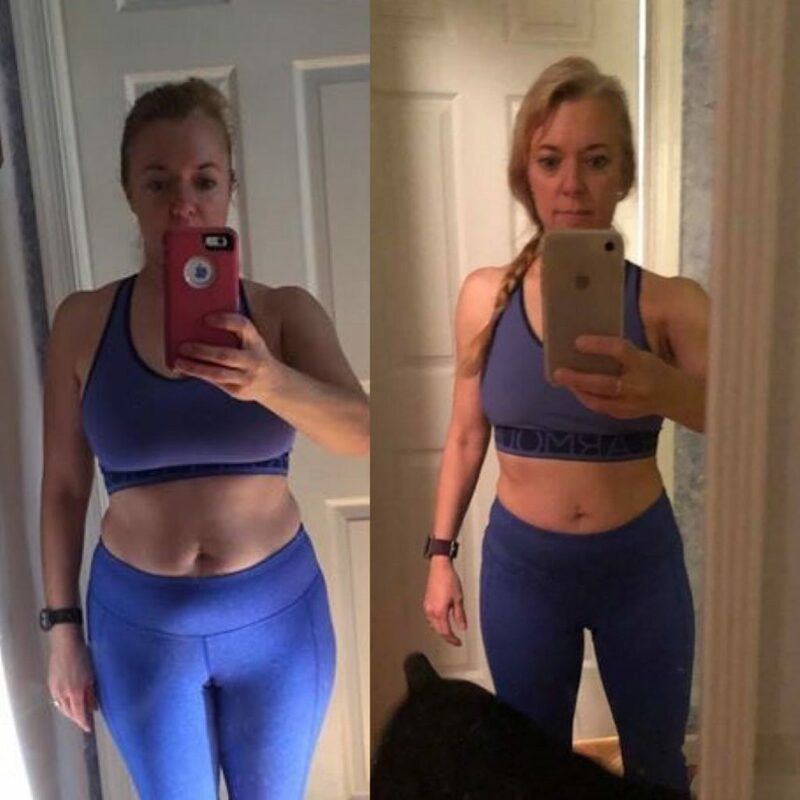 Colleen lost 20 pounds despite her thyroid problems after taking the 30 Day Clean Eating Challenge.